There are many ways to contribute to the well-being of Canton Country Day School, financial and otherwise. The goals of the Development Office are promulgated through both volunteerism and philanthropy. Listed below are vehicles for giving that can be selected based on personal circumstances and charitable desires. For further information, please contact the Development Office at 330.453.8279. Volunteers provide the backbone of many CCDS services and programs. Service opportunities take many forms including hosting Grandparents’ and Special Friends Day, serving on our Great Escapes Committee and helping with the school’s hot lunch program. Volunteers often create lasting friendships through community service and learn valuable leadership skills. Financial contributions to CCDS can be made through a variety of vehicles. Cash gifts are deductible from federal income tax and are immediately available for the school’s use. Your personal tax advisor can provide you with details. Gifts of long-term appreciated securities held 12 months or more can result in significant tax savings for the donor. For tax purposes, the value of the gift is its fair market value on the day it is given. Because the donor is not required to pay capital gains taxes on the appreciation of the stock, the actual cost is far less than the real value of your gift to CCDS. A donor who works for a company that has a matching gifts program can double the impact of a charitable contribution to the school. Information on matching gifts is typically available from a company’s personnel or human resources office. 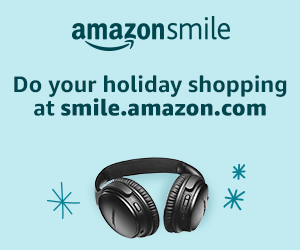 Amazon will donate 0.5% of the price of your eligible AmazonSmile purchases to Canton Country Day School whenever you shop on AmazonSmile. Are you ready to do some shopping on Amazon? Click here to sign into your Amazon account. Donors may spread gift payments over a period of time through pledges. Bequests, gift annuities, various forms of trusts, and life insurance and retirement plan proceeds are examples of deferred giving. These contributions benefit CCDS and the students of future generations. Deferred giving can offer significant tax saving advantages and provide the opportunity to make a larger gift than would otherwise be possible. These gifts provide added benefit to the school that cannot necessarily be measured in dollar value. Make a difference in the lives that follow. By leaving a legacy of any size in your will, or a gift from your estate, you can continue to help Canton Country Day make an important difference in a student’s life.